You cannot send connection requests with Recruiter, you'd need to use InMail for this. However, there is a way to connect with your candidates using Dux-Soup. 1. Set up your search criteria in LinkedIn Recruiter to find your ideal candidates. This will include location, job role, skills, experience and any other relevant factors. 2. Use the Visit function on Dux-Soup to visit all the profiles that match your search criteria. 4. With the data downloaded on a spreadsheet, you can now ‘tidy’ it all up and remove any of the profiles that are not relevant e.g. profiles with incorrect skills, location etc. Save it as a CSV file again. 5. Go back to your basic LinkedIn account (not Recruiter account), click on the Dux-Soup icon, and click ‘Revisit Data’. 6. 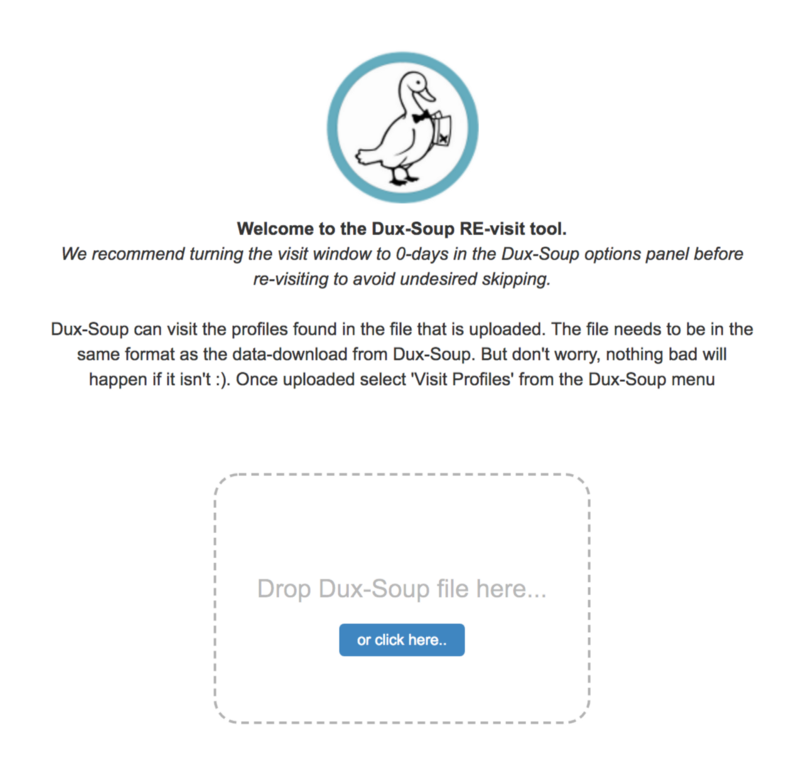 Upload your CSV file and click to "Visit profiles" again on Dux-Soup. 7. That's it! The robot will start running and visiting the profiles. Bonus Tip! Make sure you set up your connection message as it increased the chances for it to get accepted.